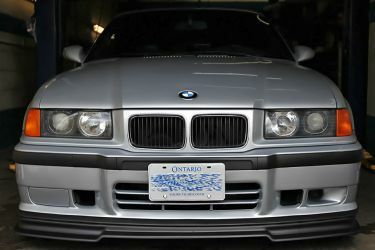 9 - 1998-1999 BMW M3 Convertible Manual (BK93) - US painted in Estoril Blue Metallic (335) with Sand Beige Nappa Leather (N5SN) interior were built. The most rare option in this car is the option S391A - Softtop, dark blue. It was installed on 231 out of 2,252 cars. 9!?!?!? !, and I have the dark blue top! I know where two other identical ones are hiding, one is in San Diego, and one in Anaheim! Please, I need the info of the car JP90700. Is the information true? How many for NA models? I think you forgot to answer my post. 5 - 1991-1994 BMW 850i Manual (EG13) - NA painted in Diamond Black Metallic (181) with Black Nappa Leather (0226/M4SW) interior were built for the Canadian market. 23 were built for the US market. The most rare option in this car is the option S481A - Sports seat. It was installed on 42 out of 847 cars. thank you, do you know total produced manuals in canada and total in US? The most rare option in this car is the option S7MAA - Competition package. It was installed on 326 out of 16038 cars. The information of BL91 6MT I don't remember where I read. I think it was in a bmw forum. Could you know how many M3 e46 competition was made with 6MT for each market? Could you please do JR23184. 2,365 2001-2006 BMW M3 Coupe (BL93) - NA painted in Jet Black (668) with Black Nappa Leather (N5SW) interior were built for the US market. 1,365 manual, 1,000 SMG. The most rare option in this car is the option S737A - Interior mouldings, Alu Shadow, brushed. It was installed on 8,240 out of 26,202 cars. A367697, please and thank you! i know it's not nearly as rare as some other beasts i've owned, but it might be my favorite to date. 58 - 2009-2010 BMW 335i Sedan (PM73) - NA painted in Alpine White 3 (300) with Black Dakota Leather (LCSW) interior were built for the Canadian market. 15 manual(10 are M Sport), 43 automatic (7 are M Sport). The most rare option in this car is the option S4MGA - Int. mouldings aluminium glacier-silver. It was installed on 242 out of 4,798 cars. 175 - 2009-2010 BMW 335i Sedan (PM77) - US painted in Alpine White 3 (300) with Black Dakota Leather (LCSW) interior were built. 7 manual (2 are M Sport), 168 automatic (42 are M Sport). This is a euro-spec Z3 1.8l. Is the VIN correct? If it is, I got no data on this model. Yes it's a German model z3. Apparently individual model. Here is the full VIN WBACM11000LF02396 maybe it will help?